My personal guide to this wonderful part of the World! Planning a trip to The Ring of Kerry? Keep reading and you will find all this and more!!! Not the same biased infomation provided to coach loads of tourists each summer! But real sound advice and travel tips from a fellow tourist who once visited the Ring of Kerry and ended up staying for two years. 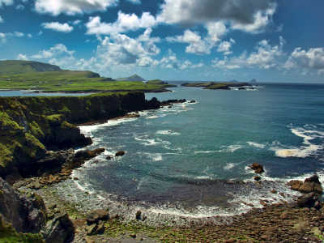 The Ring of Kerry, situated in the South West corner of Ireland, is a 179km circular driving route which takes you on a breathtaking tour of the Iveragh Peninsula. 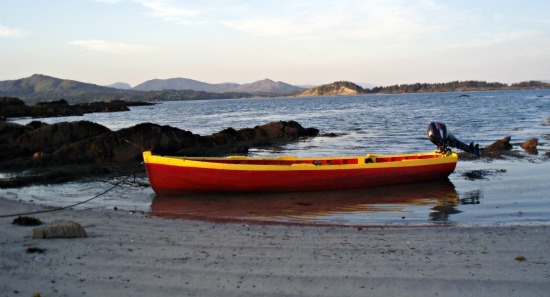 The remote coastal scenery, with miles of un-crowded beaches. And felt the striking contrast with the interior's pristine mountains and lakes. You will understand why the Ring of Kerry is regularly voted in the top 10 driving tours in the World. a one day coach trip around the peninsula just doesn’t break the surface. Overlooking the beautiful Kenmare Bay! I can highly recommend this accommodation option. 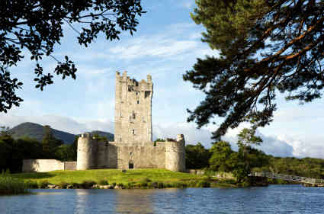 Traditionally the circuit starts in the buzzing tourist town of Killarney famous for its National Park, the Killarney Lakes and Muckross House at its focal point. many with live traditional music in the background!! As you leave Killarney, heading south, the road narrows and skirts around the lowest Killarney Lake. Take it slowly as the road begins to wind up to the mountain pass named Moll’s Gap. 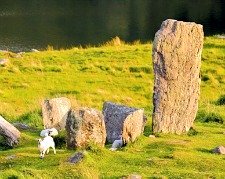 On the way up pull in and walk up to see Torc Waterfall or stop and gaze out across Ladies View – a stunning viewpoint which looks out over the lakes and was made famous after a visit by Queen Victoria. especially if you are gift hunting. The attached café is also excellent serving beautiful quiches, salads and cakes but it can get very busy during the high season. Taking a left turn at Moll’s Gap leads you down into Kenmare – food heaven. and excellent olives – hmm… my favourite! Kenmare sits beautifully at the head of Kenmare Bay and as a result has some of Ireland’s finest country hotels. Along with these there are some cute little restaurants, cafes, pubs and art/photo galleries. There is also an excellent golf course. The coastal road to Sneem from Kenmare is slow and windy in places but gives you the first of many fabulous views of Kenmare Bay. You may not have heard of Sneem but could be familiar with the luxury Parknasila Hotel. This fine hotel is located right on the coastline just a few kilometres from the village. You will understand what I mean when you see the brightly painted houses backed by mountains and a waterfall. The main shopping street is split into two halves by a bridge which crosses the Sneem River. After heavy rain the rapids running under the bridge are spectacular and must be seen to be believed. With over 100 years of experience looking after famous guests from Parknasila Hotel, you can be sure to find warmth and the personal touch which Ireland is famous for from any of the staff in the beautiful cafes or pubs in Sneem. 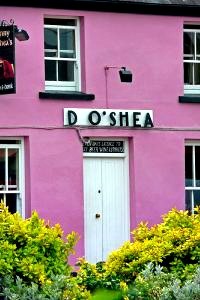 D. O’Shea’s pub is particularly charming as is The Riverside Café which has a fine terrace overlooking the river. Pretty, un-crowded and still traditional visitors to Sneem often return again and again. 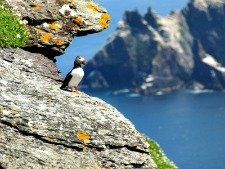 The West coast sites – Derrynane Beach, the Skelligs etc. And the sites in the East - Killarney Lakes, Kenmare etc. The contrast between rugged coastline and wild, romantic hills provides a natural playground for fishermen, walkers and cyclists alike. Heading west the road opens out. Staigue fort - a massive stone fort dating back to pre-Christian times. Castlecove Beach Bar is a nice stop for lunch with beautiful views across Kenmare Bay. I can especially recommend spending time at this family friendly beach on a fine summer evening. The village of Caherdaniel is only small but this is a truly stunning part of the County Kerry coastline. 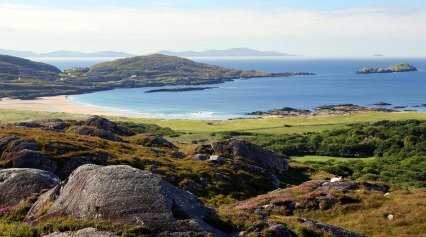 I have spent many afternoons walking the famous mass footpath, exploring Derrynane Beach or Lamb’s Head and then relaxing with a beautiful pint and some diner at the legendary pub, the Blind Piper. I love these remote western areas of south Kerry so much. Unfortunately many people miss the best bits as they whizz past on the coach. 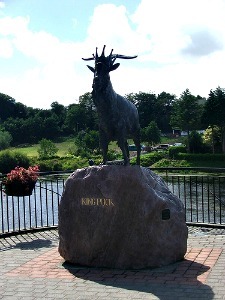 For this reason I always suggest to anyone travelling to Kerry that they don’t stay in Killarney. Kenmare and Sneem are much nicer, more traditional areas that are closer to the best parts of Kerry. 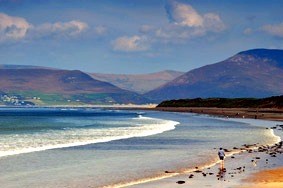 25km north east of Caherciveen is this small but popular holiday village which is famous for the fabulous 4km long sandy beach closeby at Rossbeigh. All come with great views of the Dingle mountains across the bay and the local seafood is excellent. Killorglin is a lovely market town on the banks of one of the best salmon rivers in the country - the River Laune. The village is famous for holding The Puck Fair - the oldest fair in Ireland. The main road from Killorglin to back to Killarney takes you past the turning to the Gap of Dunloe in the Black Valley. Home to Ireland's highest mountain, Carrauntoohill, and a legendary pub called Kate Kearney's Cottage. I would especially recommend this area of County Kerry to anyone who enjoys walking, fishing and shooting.